Fresh Typografika para Flashbelt 2010, con oranje! 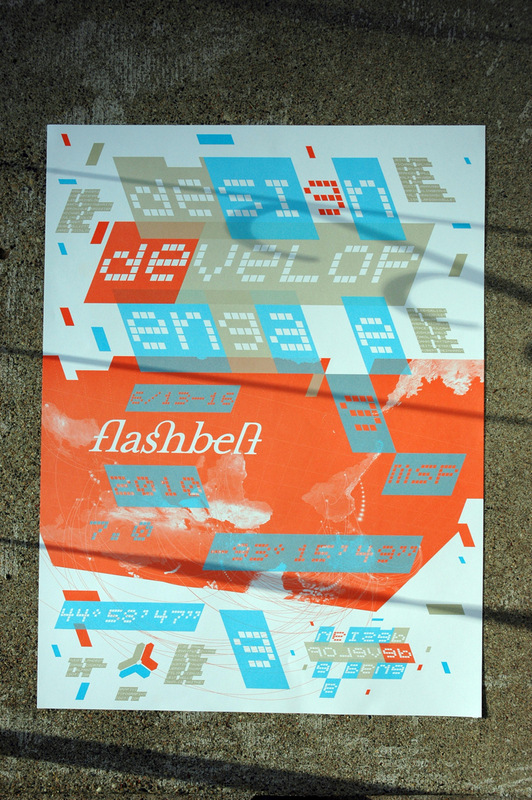 Above: Just back from a press check with the Flashbelt 2010 poster (18″x24″) for Dave Schroeder, pilotvibe. Shot in some afternoon sun and shadow from our porch. 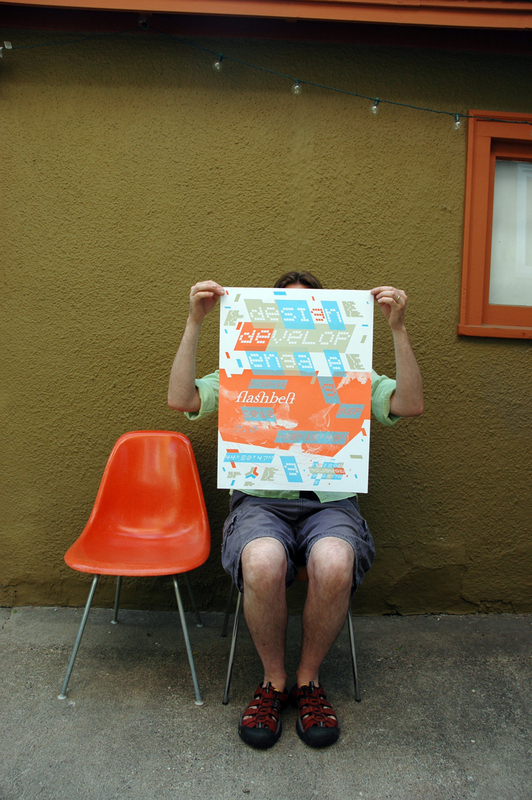 Above: Poster, myself, and the orange chair John Malinoski gave me. A thousand thanks to Dave and Flashbelt for this work. More on Typografika. Next: Reza Abedini / In the beginning. nice moves! i love the misplaced ‘g’, it is so good. Well, thank you, Tousue. This was made to Beatrix Jar, “Golden Fuzz.” MPLS. Dig it! This entry was posted by Erik Brandt on Wednesday, June 2nd, 2010 at 6:56 PM	and is filed under Aktuell, Color, Education, Geotypografika, Globalization, Graphic Design, International, Internet, Minneapolis, Typografika, Typography.